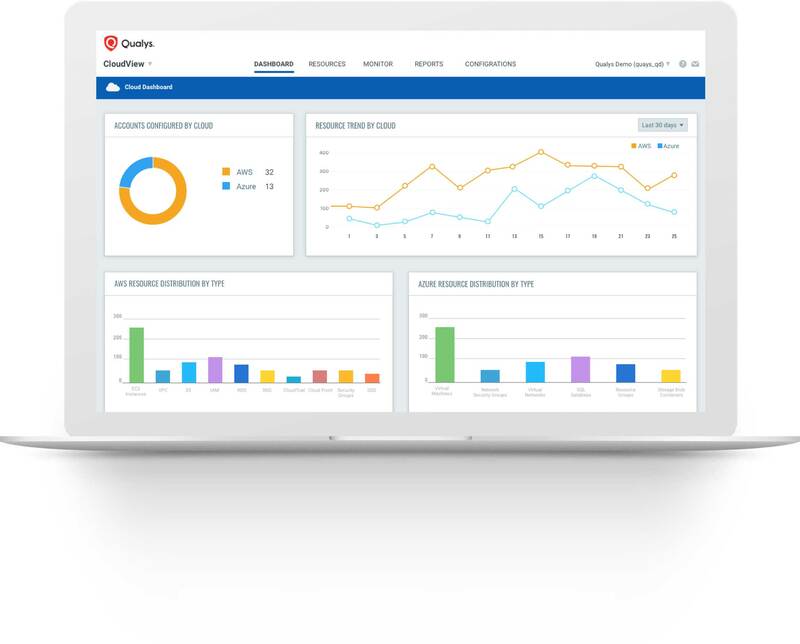 Qualys CloudView | Qualys, Inc. Continuously inventory and assess your public cloud workloads. CloudView is totally free, and there's no software to download or install. 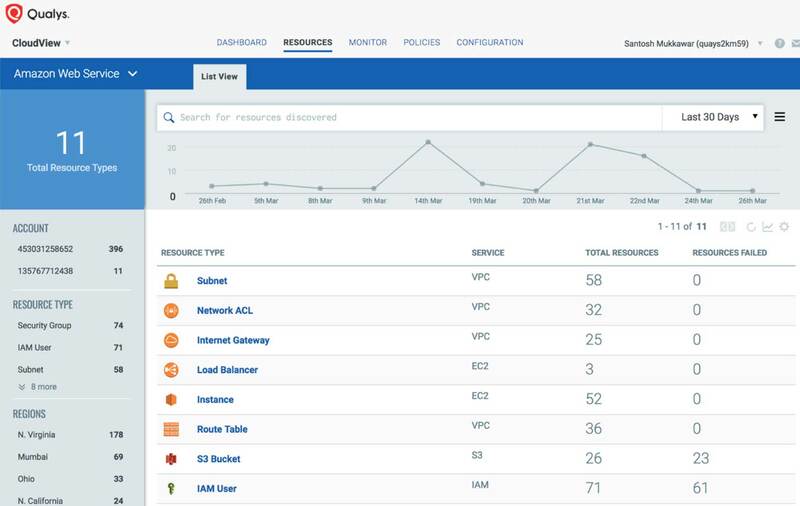 CloudView continuously discovers resources in your public cloud deployments and gives you a “single-pane-of-glass” view across of all them from a central control panel. It also aggregates information about assets and resources from one or multiple cloud platforms. That way, you can clearly see all of your instances, services, and supporting resources across every public cloud account. 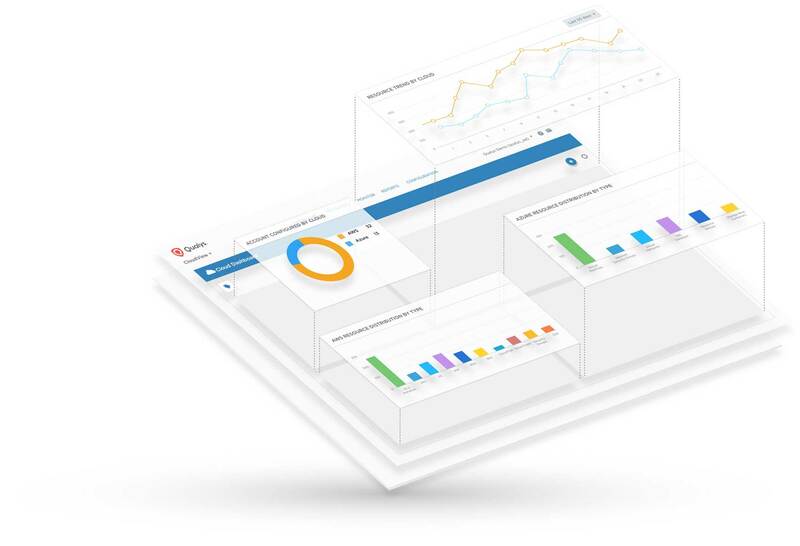 CloudView gives you both real-time and historical views of your inventory, as well as ability to understand the relationships of your public cloud assets and resources across different dimensions: Accounts, location, network layouts, security groups, and associated services like storage and databases. With CloudView, you can be set up in less than 5 minutes. There’s no agent to deploy, and nothing to configure. Cloud connectors use APIs available from the provider to aggregate data from your accounts in a way that doesn’t interfere with your workloads. The inventory is built up instantly with detailed metadata and relationship mapping. The subsequent analysis happens as data flows in. 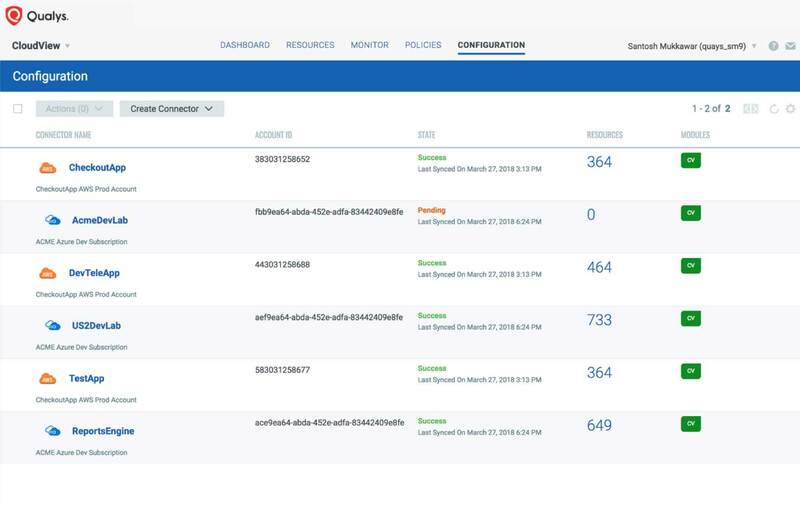 After you get a full inventory of your cloud assets and resources with CloudView, you can then use Qualys Cloud Security Assessment (CSA) to continuously assess these assets and resources for misconfigurations and for non-standard deployments that could be easily exploited. CloudView continuously discovers and tracks assets and resources such as instances and virtual machines, storage buckets, databases, security groups, ACLs, ELBs, and users, across all regions, multiple accounts and multiple cloud platforms. You can view all this information in one central place. CloudView can be set up in less than 5 minutes, without the need to deploy agents or configure anything. Using the cloud providers’ APIs, CloudView connectors collect data from your accounts without disrupting your workloads. See for yourself. CloudView is free. And as a cloud-based service, there's no software to download or install. It’s highly accurate and scalable to meet all of your needs.